For the best experience with Open Hospitality systems please use Internet Explorer 9 or higher. Open Hospitality no longer supports IE versions 7 and 8 because we deliver features that are not viewable in this version. What action do I need to take? 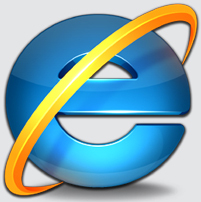 You and your technology team should plan to upgrade to the latest version of Internet Explorer, it can be downloaded here. 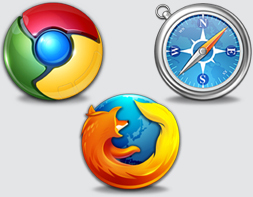 Other browsers Admin does operate with other browsers including Firefox, Safari, and Google Chrome. However, you may observe some screen elements that don't display quite as expected as compared with the IE presentation. Each browser behaves a bit differently in terms of display characteristics. Open Hospitality does not fully support the browser you are using. You may continue to login, but some displays or functions may not be available. During business hours please contact us as usual. Remember to keep an eye on future availability and maintain those inventories. Consumers prefer to buy directly from your website if they can, so be sure to give them availability and prices into the future. Is your hotel making the most of Social Media? We can help support and drive business to your hotel. We'll help your hotel get to the next level in Social Media with our managed Facebook and Twitter services.